As the number one state sponsor of terrorism and the source of fundamentalism, the Iranian regime is the principal contributor to the crises in the Middle East. Indeed, over the past years, it has been proven that appeasing the mullahs ruling Iran would only transform the situation from bad to worse. It is now more than ever clear that only a free and democratic Iran can help restore peace and stability in the region. But what’s often cared about in the Western policy regarding Iran, is economic benefits and what is missing is the role of the Iranian people and their desires. A comprehensive policy on Iran must consider the realities on the ground before everything, or else it will result in the same mistakes as before. The wave of protests which started at the end of last year and have continued in various manners in the current year, shook not only the regime in power but the entire world as well. The people of Iran poured onto the streets across the country rejecting the clerical regime in its entirety. Chanting “death to Khamenei and Rouhani” and “reformist, hardliner, the game is over”, people expressed their will on regime change, demanding a free Iranian republic. To the surprise of many Iran experts and governments in the West, the core of the people on the streets of over 140 cities was the same sector of the society which was wrongly thought to be the power base of the clerical regime. Indeed, it was proved that the entire nation is demanding regime change. This fact was overlooked for many years and it was merely the Iranian resistance, which due to its widespread social dimensions and its presence among the masses of the people, was persisting that this regime’s remaining in power was only because of suppression, warmongering, exporting terrorism, creating instability in the region, and of course the appeasement policy of Westerners. In the 2017 Iranian Alternative annual gathering, held in Paris with more than 100.000 participants, Mrs. Maryam Rajavi, the President-elect of the National Council of Resistance of Iran (NCRI), stipulated that regime change in Iran was necessary and within reach. The wave of protests proved the correctness of the message which at the time was confronted by some skepticism by governments and many ‘Iran experts’. For long, the people of Iran and their desires were ignored. For many years, the West looked at Iran from very narrow spectacles, by victimizing human rights for economic interests. It is time to realize that the mullahs’ regime cannot exist without suppression at home and export of terrorism abroad. Silence and inaction regarding the mullahs’ crimes, under any pretext, just encourage those in charge and the perpetrators of the massacre of the Iranian nation, and only embolden the religious dictatorship for warmongering, exporting fundamentalism and terrorism to the region and throughout the world. The end of religious dictatorship in Iran is a requisite for regional peace, democracy, security, and stability. This is the only way to end war and crisis in the region and preventing a more massive war. It can be said that in the wake of the regime’s destructive policy as well as the exposing related activities of the Iranian resistance, the West, after 40 years of the policy of appeasement and silence about the mullahs, now has come to a correct, but delayed, conclusion that it must comprehend the people of Iran. To safeguard the world peace and prevention of terrorism, a firm policy must be adopted against the Iran regime. This reality can be seen in the US Secretary of State’s speech when he said that the Iranian people must choose what kind of government they want. The light of change is shining on Iran. The ruling regime is in disarray and paralyzed as never before. Iranian society is simmering with discontent and the international community is finally getting closer to the reality that appeasing the ruling theocracy is misguided. These intense circumstances speak to three fundamental truths related to obtaining freedom and liberty in Iran, as well as peace and tranquility in the region: First, the overthrow of the ruling religious dictatorship is an imperative. Second, the regime’s overthrow is within reach. And third, a democratic alternative and an organized resistance exists, which is capable of toppling the theocracy in Iran. For Many people around the world, a question arises about what Iran of past clerical regime era will be like. 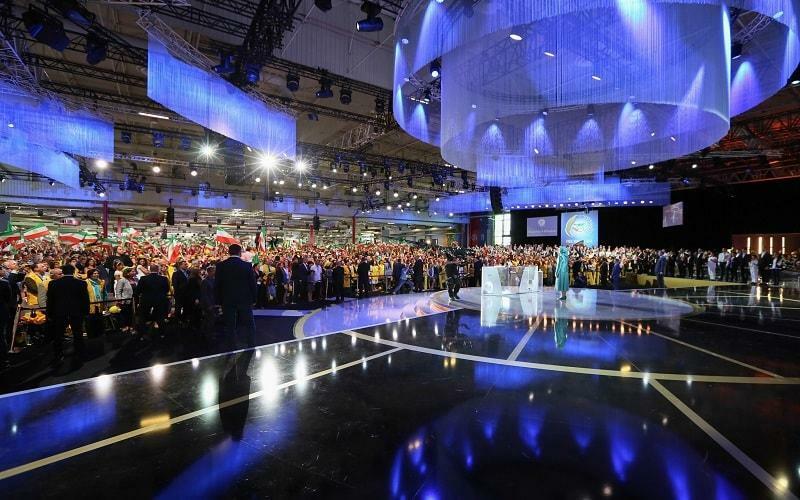 Fortunately, Mrs. Maryam Rajavi, the president-elect of the Iranian resistance for the provisional government after regime change, has answered the question in a platform called ‘Ten Point Plan’. Mrs. Rajavi leads the powerful political alternative to the Iran regime that the most high-ranking figures inside the regime, including the supreme leader, Ali Khamenei have admitted to its significant role in the events inside Iran. The National Council of Resistance of Iran (NCRI), is a coalition of Iranian resistance groups, including the PMOI / MEK, as the core member, which acts as a parliament in exile. On June 30, 2018, tens of thousands of Iranians from all over the world, free from the captivity of mullahs, are expected to attend an extraordinary event “Free Iran Gathering” in Paris. Every single Iranian who participates in this gathering represents tens of thousands of brave Iranians calling for regime change inside Iran. The event has already been popularized in Iran through direct broadcasting as well as social media, and messages of support from inside Iran are heard constantly. The people of Iran consider the June 30 gathering as an echo of their voice for a free Iran in the international community. More than 100,000 people from all over the world, including international figures, ministers, and parliamentarians from five continents have attended the annual gathering of Iranians over the past years. – Given the political situation in Iran and international drastic developments, the “Free Iran Gathering” on June 30 in Paris will be magnificent and unprecedented. The event marks the blooming freedom for the Iranian people and ending the nightmare of the Islamic fundamentalism and instability in the region.